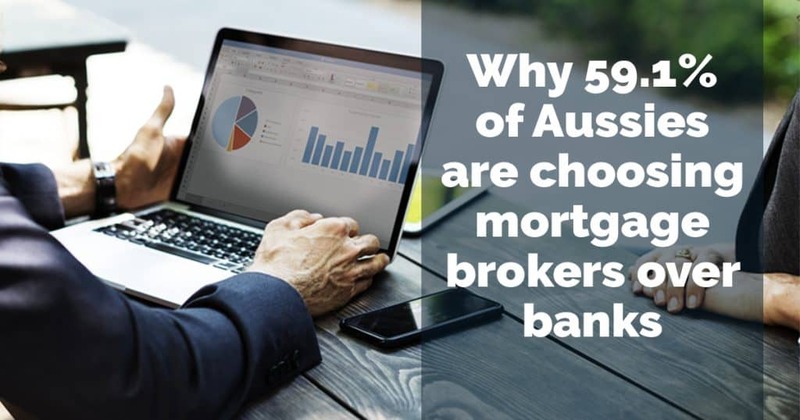 Why 59.1% of Aussies are choosing mortgage brokers over banks! You may have noticed the Australian finance sector has been in the spotlight for the last 12 months due to the Royal Commission (RC) into the banking, superannuation and financial services industry. With multiple lenders and hundreds of ever changing mortgage products available, finding the home loan to suit your individual needs is not only a complex process it usually requires shopping around. This has resulted in more and more home buyers and property investors turning to mortgage brokers for expert assistance. In fact, did you know that mortgage brokers now account for nearly 60% of the market for residential mortgages1? So what is the point of difference? What can a mortgage broker provide that you won’t necessarily experience from a bank? Why are there mortgage brokers? The mortgage broking industry developed in the early 1990s to fill a void in the market. Mortgage brokers are generally seen as providers of comprehensive, convenient and solution based advice to clients. As they represent a panel of lenders they can offer clients a range of products and tailor loans to specific needs. They have also established a reputation for assisting clients from the initial enquiry right through to settlement and beyond. In particular, mortgage brokers work closely with borrowers by preparing the documents for the lender, submitting the application, liaising with both parties through the process and answering questions through the loan approval stage. Your mortgage broker will be there with you on your journey. When you establish a relationship with your broker it will be the ONE constant throughout the life of your mortgage(s) – even if you change lenders along the way. Through regular contact your mortgage broker will get to know you, your family and the ever changing events in your life that may prompt a review of your financial situation. As your circumstances change it is always advisable to ensure any loans you have are still suitable for your personal situation. In a bank you will be dealing with a bank loans officer – there is no requirement for a bank loans officer to acquire the same qualifications as a mortgage broker. Mortgage brokers must meet membership requirements such as minimum levels of experience and education. They must also undergo probity checks and meet fair and ethical trading standards before gaining accreditation to practise as a mortgage broker. A broker must also belong to an alternative resolutions service. This is a protective measure for borrowers should any disputes arise. As your finance specialist it is a mortgage broker’s job to stay well informed on the changing landscape of lending in order to continue to offer you the most up to date information. Most importantly your mortgage broker is well placed to look after both YOU and your family members when they are ready to explore their options for entering the housing market. As Generation Y is now actively entering the property market you can feel confident the relationship with your mortgage broker can continue into the next generation. If your children need to make contact with us to discuss their future plans we’re always here to assist them. First Home Buyers Take the Lead! Turn your financial stress around NOW! The cash rate remains steady but our bank interest rates rise?